Rhodium on my wedding ring – What you need to know! 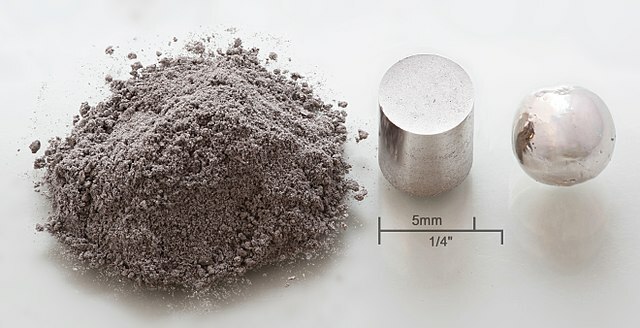 What is Rhodium? Do I need it? What does it mean to have a ring that is “Rhodinated” and finally, Should i do it? We often get the question from customers looking to invest in our white gold engagement rings. We will try to sort out these questions once and for all. Rhodium is a noble metal and part of the platinum group. It is one of the rarest and most valuable precious metals on earth. Precious metal miners most commonly find in nickel and platinum ores. We use most of the rhodium mined in catalytic converters in our cars, but there are some more use cases for rhodium, and this is where jewelry enters the stage. Let us go back to the first half of the 20th century, because this is where things get interesting, and this is when Rhodium starts it’s interesting journey to become almost a standard in jewellery making. During World War 2, platinum was banned from use in jewellery. Because of it’s inherent properties like hardness and purity the American military started laying their hands on whatever platinum they could find. They also banned jewellers from using platinum. Up until then white gold was more or less unheard of. Jewellers There was different alloys (mixes) of yellow gold, but when platinum disappeared from the jeweller’s workbenches they did whatever they could to replace the popular metal that platinum was. Hence, white gold was born. To get it straight once and for all, there is no metal called white gold in nature. White gold is simply an alloy of gold and some other metal/metals that even out the yellow hue of gold. It makes it less golden and more white. Our 18K white gold contains 75% gold and 25% palladium, but through the years white gold has had many different alloys. The “white” of white gold is a modified truth. White gold is more grey/off white than white. To compare it to something most people can relate to, take a look at your kitchen sink. Stainless steel is close to the natural color of white gold. So, white gold solved the problem with the ban on platinum. But customers still wanted the ice cold white appearance they were used to. Enter rhodium! By using a process called electroplating jewellers started covering the “not-so-white” surface of the white gold with a thin layer of crisp, white rhodium. The customers were just as happy as before, but only for a while. You see, unlike pure platinum, rhodium wears off, leaving a scratched and worn surface. The result? The off white of the white gold shines through. Every two years or so, the customer has to return to the jeweller. The Jeweller removes the rhodium on the ring and electroplates it once more. He charges his customer for half an hour or so. What a money making machine! That gives you the answer to your question, “should i do it?”. In our opinion, no. Instead, accept the off white color of white gold, it’s really kind of beautiful. Your jeweller needs rhodium more than you do.